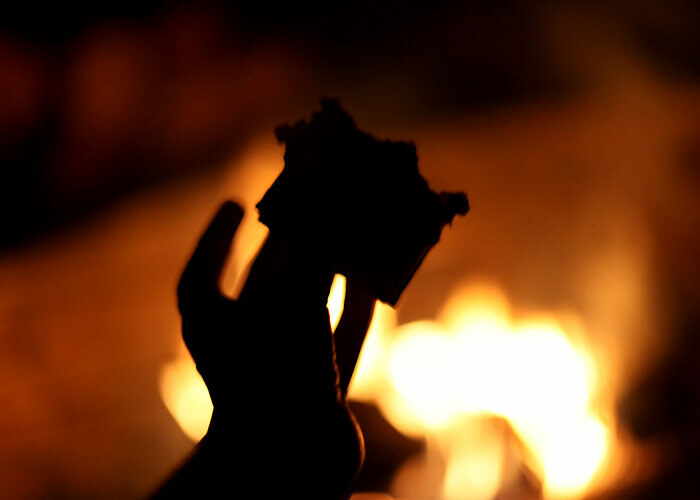 Okay, raise your hand if you’ve made s’mores before. By fire, not microwave. Well, before a few days ago, I hadn’t. I know. I can’t believe it either. I feel like I’m the only one who’s never made these campfire treats. S’mores. Melty marshmallows and chocolate sandwiched between graham crackers. Mmmmmm. They are extremely difficult to make so I thought I should document the process for you. Okay, so that’s not true. I know you don’t need me to show you how to make s’mores, but since I blog about the things I make, I hope you’ll enjoy these marshmallowy photos. Four, actually. Fire comes in handy. Five. Friends to share them with are good, too. 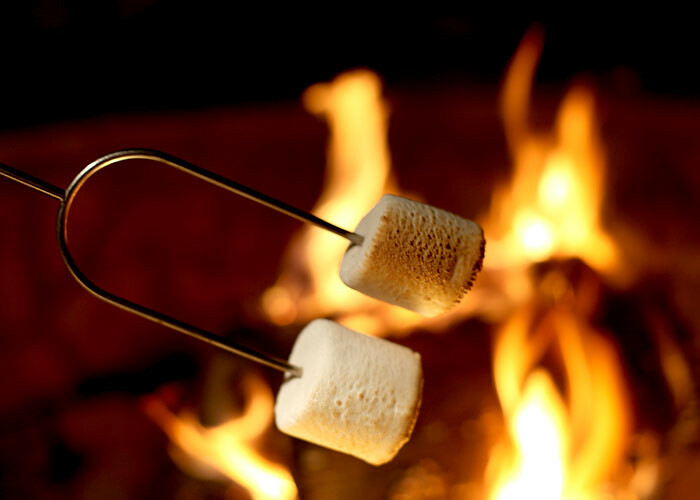 Heat the marshmallows over a fire until the surface starts to get brown and the inside gets all melty. I like my marshmallows a bit on the burnt side. … and sandwich in between two graham crackers. The heated marshmallow will start to melt your chocolate. That is all. But, that isn’t enough. Because, then you get to go again. This one was warmed just enough without burning the edges. This photo makes me want another one pronto. By the way, you might not be able to tell by the pictures, but these were mega marshmallows. Huge. Practically the size of the crackers. I wish I could remember the name of them for you. But I can’t. Forgive me for teasing you. Be glad it’s dark if you decide to use gigantic marshmallows. Let’s just say I would have made a good photo for a new “Got Marshmallow” campaign. So here’s the fun part. Well, the more fun part. We made s’mores with a few kinds of chocolate. 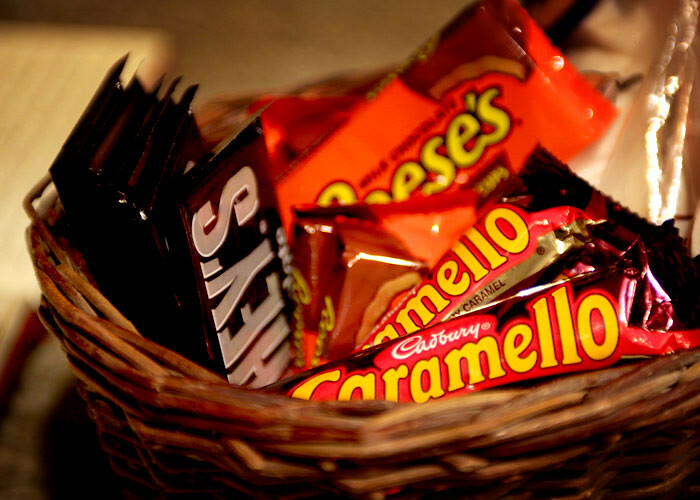 Hershey’s, Reese’s and Caramello candy to name a few. We made a little s’moregasbord of chocolate and peanut butter and caramel… oh my! And I have to tell you the Caramello candy bars ended up being my favorite. Yep. this one. I think I will dream about you tonight. Please tell me a that few of you have never made these either. Anyone? 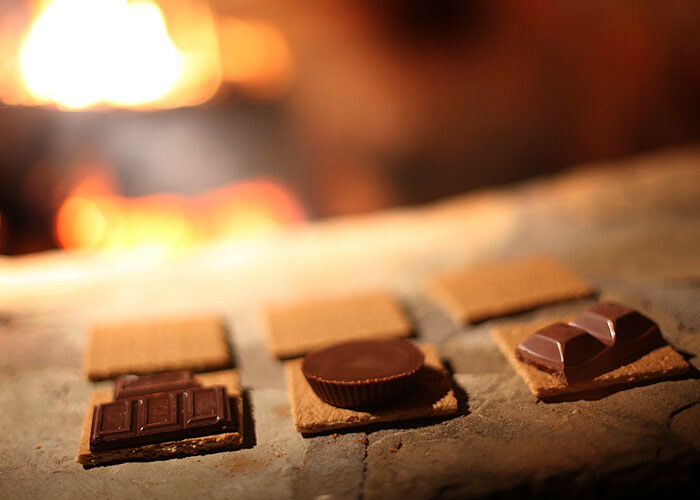 Or if you’re a pro at them, do you have any suggestions for s’more kinds of combos? I’m thinking nutella would be delish. Yes! Resse’s Cups are fantastic, but I’ve never tried Caramello- That’s now on the list for the next campfire! We used to make them all the time when I was a kid! I love S’mores! I bet nutella would be delicious! At girl scout camp, we were all told to bring chocolate bars to make s’mores, and one of the girls brought Heath bars instead because she said that was all her mom could find. It ended up being a hit with all of us, because the toffee added a nice chewy/crunchy texture to it. Not that I was thinking about texture at 9 years old – the taste was the best part! I love smores, with dark chocolate , coconut would be a great topper, I’ll have to try a mounds candy bar on mine next time! my kids love the strawberry marshmallows. I have a bag of Giant Marshmallows. They’re “Campfire” brand, “Giant Roasters”. They are the only HUGE marshmallows I’ve ever seen. Hopefully that can help someone out who might be interested in finding them. I find my at the Super Wal-Mart near my home. But I’ve also seen them in the local Grocery Store…just not as often. They’re harder to find there. Yes, nutella is the best. Thanks Jenny-Penny. We did buy them at Wal-Mart, so I bet they are the same ones. How bad do I want a smore now! Thanks for the tip Jasmine. Next time I will be less concerned about trying to get good photos, so that’s a great idea. OH MAN, YOU CAN TELL YOU HAVEN’T MADE THEM BEFORE!! YOU CAN’T TOUCH THE MARSHMALLOW!! YOU’LL BURN YOUR FINGERS AND IF YOU WAIT FOR IT TO COOL IT WON’T BE AS DELISH!! 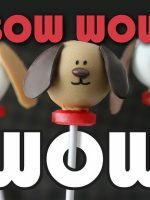 YOU HAVE TO PLACE ON SIDE OF IT ON THE CHOCOLATE AND USE THE OTHER HALF OF THE CRACKER TO SMOOSH IT DOWN AND THEN PULL THE SKEWER AWAY.!!!! AH, NEVERMIND, I JUST SAW JASMINE BEAT ME TO IT!! They’re called Campfire Giant Roasters Marshmallows. I know this because I spent the better part of my weekend sneaking those delicious things out of my sister’s pantry and into my tummy. Here’s a link, in case you want to buy a bag. Or, you know, 20. You’ve made me want S’mores!!!!!!! I learned of a new version this summer. Replace the chocolate with Starburst candies. I didn’t try them, but the kids making them loved ’em. Once, we had to use chocolate chips because we couldn’t find any chocolate bars. We discovered the best way was to stuff the chocolate chips inside the marshmellows and then face the ends that you stuffed face to face and then toast away. ROLOS! I bet they would be awesome!! If you want to make them but do not have a fire(place) you can also use a torch to make creme brullee with..my creme brullee burner finally is more than only that..it’s a creme-brullee-melting-marshmellow-torch!! To consolidate while camping, you can use the Keebler Stripped Shortbread cookies instead of graham crackers and chocolate…. works great! 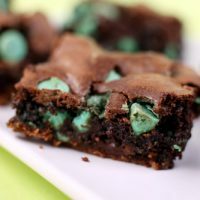 Cheryl W – I like that chocolate chip idea. You have to try using Peeps for the marshamllows. There is something twisted about roasting the cute little chick but the crunch you get on the outside from the melted sugar and the smooth melted marshmallow on the inside…divine!!! I can’t use regular marshamallows anymore. I made them in the microwave…sad but I remember…christmas a weird shaped present it was this “can” it included graham crackers marshmallows and chocolate…. I knew you guys would be pros at this. I love the suggestion of using Peeps for the marshmallows! I’ve seen some make easy s’mores by using the Keebler cookies that are graham-like and drizzled with chocolate. Less messy! 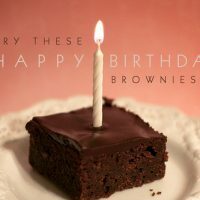 I can’t wait to try these with Reese’s and Caramello! I am a freak about s’mores! I have made lists and names…for instance: chunky s’monkey (peanut butter, banana, hershey’s and the standard marshmallow with graham cracker), s’mints (andes mints, marshmallow, chocolate graham cracker), berry s’nutty (nutella, strawberries, marshmallows, graham cracker), s’moreo (hersheys and marshmallow between oreo cookies) and many many more! Once you think outside the box of a graham crackers (marshmallow has to be the staple of course) the possibilities are endless! Homemade chocolate chip cookies anyone (s’mookies :))? Oh, and I call the Reese’s option “re’morse” :). Sorry for the long comment…I’m kinda passionate about s’mores :). Skip the graham cracker and chocolate, and go straight for fudge-striped cookies (the kind that have fudge stripes on the top, and are covered in chocolate on the back.) The chocolate melts way faster than Hersheys, SO good! S’mores are fabulous with any flavor you can grab out of the chocolate candy rack. For non chocolate lovers I was introduced to roasted Starburst this summer. 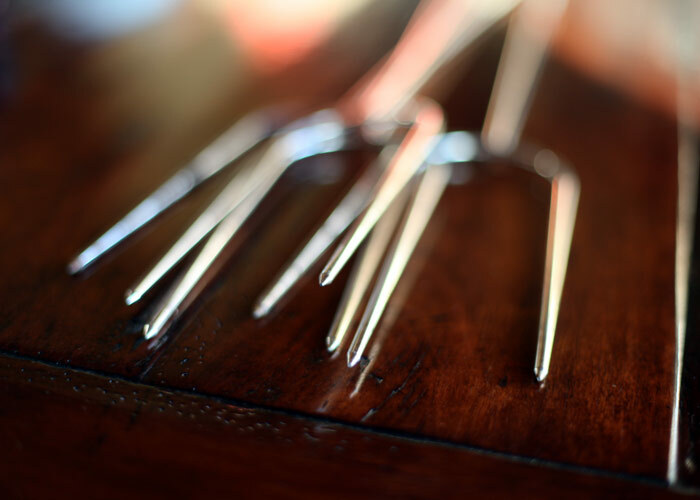 Unwrap and slide a few onto the skewers and hold them over the fire until they bubble, let them cool, pull them off and they are an awesome side dish to the s’mores!! 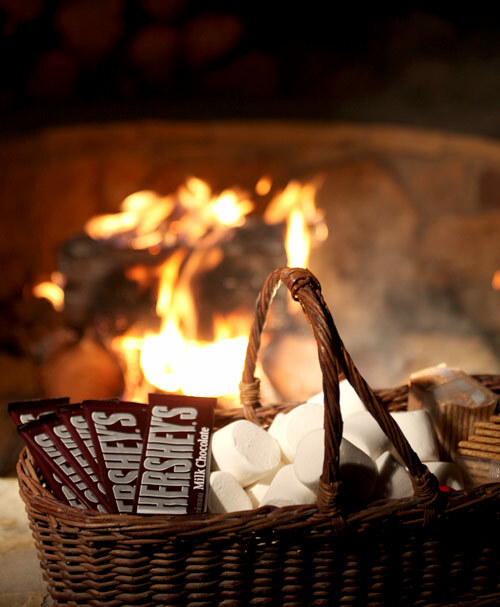 I want some hershey’s with almonds on those smores, stat! One thing I really like to do is stick my chocolate pieces right INTO the hot marshmallow. I’ve been known to eat it like this w/o a graham cracker a time or two. That darn cracker just gets in the way of some chocolate-marshmallowy goodness! I love using Caramello also. Never tried Reeses but I will now, great idea. as a former Girl Scout and now a leader, I have made lots of s’mores but I’ve never strayed from the traditional recipe. Can’t wait for our next campfire to try out all these new ideas! 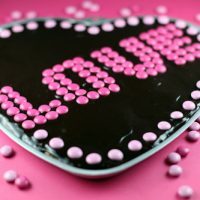 Love the chocolate covered cookie idea! I don’t think there is any better combo in the world than caramel, chocolate and marshmallows. Yum! I love S’mores, but my comment is about your nail polish! Is that brown? What brand is it? Very cute! The giant marshmallows are called Campfire Marshmallows. Also, try using cinnamon graham crackers and Hershey’s with almonds. I PROMISE you won’t be sorry! Mmmm, now I want one. The Reeses Cups have long been a favorite smore for my 13 yr old son! He’s a chocolate connoisseur , however, and his very fav is Godiva S’mores. A treat he gets not often at $4 a bar! 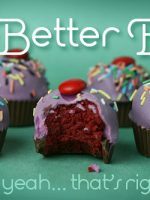 Try it with a Snickers bar – slice it so it’s more of a cross-section of the candy bar, and all the different flavors and textures make it fun. Never tried the Caramello but now it’s all I can think about. In college, we had a gas range in our apartment so we roasted marshmallows over that. Probably really dangerous, but we were young, stupid, and needed a snack between studying and more studying. Hmm- that basket would be a cool hostess gift for a party. What wine goes with Marshmallows? is that nail polish color OPI’s “Over The Taupe”? Andes mints are DELISH in s’mores!! Got to try this! I hear a lot about it from American friends! The giant marshmellows are Campire Roasters. I saw them on the little end cap at Wal-Mart the other day and got really excited and bought them. So excited I forgot all the other important things to make smores so they are just sitting there hoping my husband doesn’t eat them all “raw”! 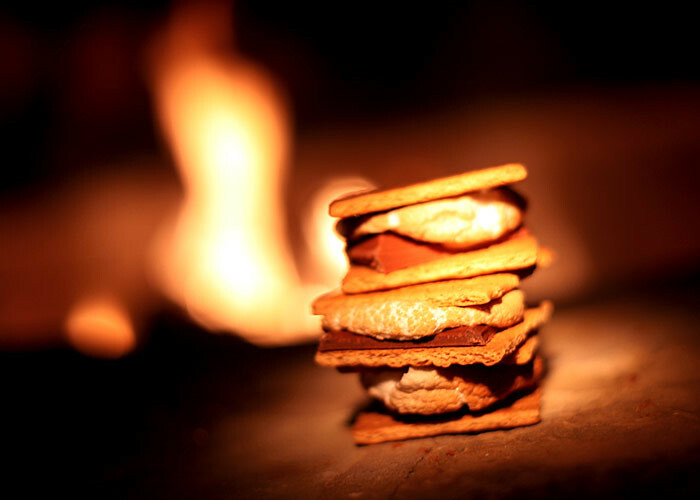 those smores looks sooo good right now! especially the ones with caramello, yum! Have you seen the toasted coconut marshmallows? Those are delicious!!! I am thinking that somebody must do a S’mores experiment one day and collect as many chocolate/candy bars as possible and make smores with them. SMORES PARTY. It’ll be epic. People have mentioned fudge striped cookies, but try the “fancy” Shortbread cookies with chocolate I think called school boy made by Lu, I think. I’m always surprised to find people that have made it to adulthood without a s’more. Made my uncle his first one this summer! Myself, I grew up on the beach with them. One time I found chocolate marshmallows and that was treat. 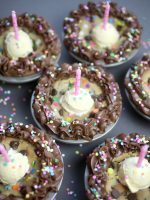 Have never made them with peanut butter cups, but you can bet I will now! LOVE s’mores!!! My 2 FAVE are chunky peanut butter spread on the graham with dark chocolate AND thinly sliced strawberries in the traditional s’more. yummmmmm…. 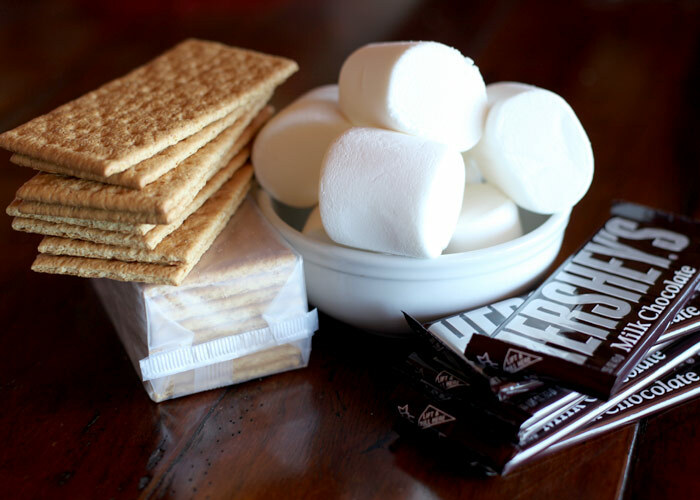 You totally have to try s’mores with the filled Ghirardelli squares. They are the perfect size for the graham crackers. My 3 favorites are peanut butter, mint dark chocolate, and the caramel. So yummy!! Ohh Bakerella, you MUST try sm’oreos! Split an oreo and use it instead of the graham crackers! The best. We make our S’mores with the Chocolate Covered Graham Crackers. Easy and delicious. I love smores! How do you make them in the microwave? Carmel filled chocolate is yummy. I will have to tell my husband about the peanutbutter cups. He dosn’t like marshmallows (I know he’s weird) so he makes them with just chocolate & peanutbutter. We like to use a grill basket you would use to grill fish on the BBQ with a handel and line it with tin foil. 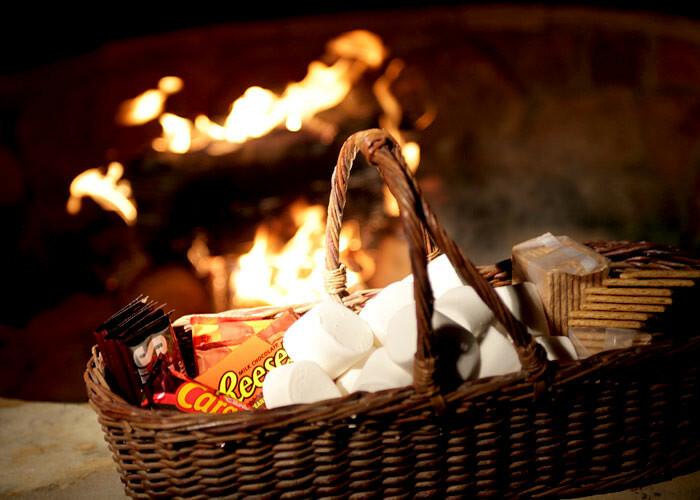 We roast the marshmallows then make the smore sandwiches then roast the smores over the fire in the basket. It melts the chocolate & makes the graham wafers warm. They are good with peanutbutter too. Friend use the chocolate covered Graham cookies. They say that the chocolate melts easier. I havn’t tried it yet. I will have to try Nutella. You could make your own marshmallows! I’ve never even thought of making s’mores with anything other than Hershey bars! Sounds GREAT though! I have provided s’mores materials for many a cub scout and boy scout campout. Reeses were definitely popular. We also used the Keebler version of the Girl’s Scout “Thin Mints” for the graham cracker and chocolate all rolled into one. We’ve also used chocolate covered graham crackers. Another favorite is the chocolate striped shortbread cookies – the round ones with a hole in the middle… so yum. We’ve also used chocolate chip cookies for the graham cracker. I’ve recently read the idea of spreading nutella on the graham cracker and I will definitely be trying that the next time. At cub scout day camp we made solar ovens with pizza boxes – and let me tell you that it produces the best s’mores I’ve ever had. The marshmallow is perfectly melted, the hershey bar soft and nothing is burned. Evil! i have the giant marshmallows they are Jet Puffed brand. i use the giant marshmallows to make my fondant for details. 1 marshmallow makes a good amount for doing cutouts. I am sure someone has already mentioned this – but chocolate frosting works really super dooper good too…melts faster and is totally gooey. 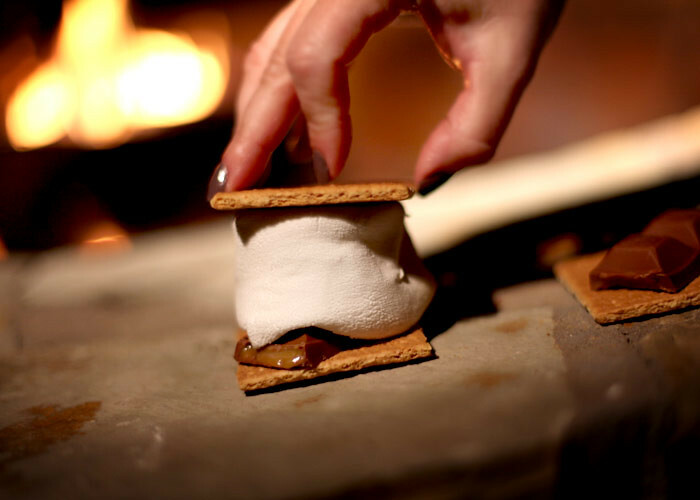 I’ve had s’mores (over a campfire) as far back as I can remember…Cinnamon graham crackers, and chocolate graham crackers are also good Love the giant marshmallows!! yummm! s’mores are one of my favorite things in the world. i can’t believe you had never tried it! p.s. nutella is delish in a s’more! ug, i’m SO jealous!! I’m a Canadian living in Australia. No graham crackers, no campfire marshmallows, no hershey’s, so no reece’s! Such a crying shame! BUT when I do get home to visit, we eat s’mores every time we go camping, and sometimes make fires in the yard just to eat them. 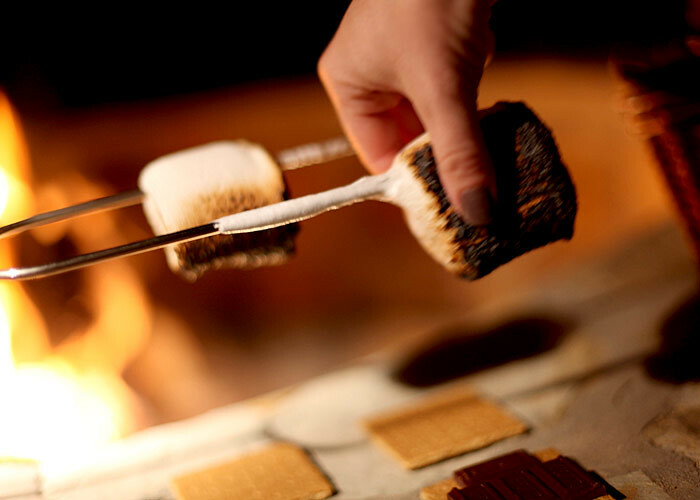 Definitely use the top graham cracker to scrape the marshmallow off the stick, AND, we now either embed small bits of chocolate into the marshmallow and then roast, or set out our chocolate on the cracker, and place it on a log near the fire to get the chocolate nice and melted. 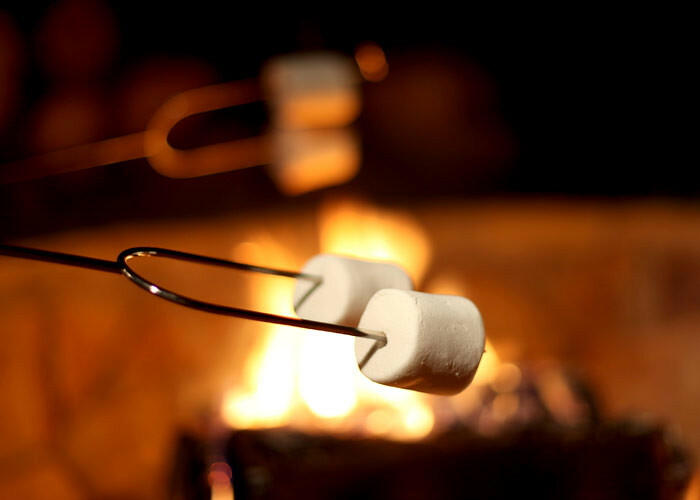 To get the best ratio of melted marshmallow to crunchy shell, always roast near the hot coals, never use the flames, but watch very carefully; the marshmallow is known to slip of the stick into the fire if you let it. Mmm, s’mores are a must-have for this farming family! We always roast ours on a sharpened willow stick over a bonfire. The secret trick? Use Nutella for the chocolate-sooooo good! YUMMY! I’ve never heard of using anything but Hershey bars! Reese’s cups sounds SO good, will have to try that! I’m glad you’ve been informed not to remove the marshmallow with your fingers! 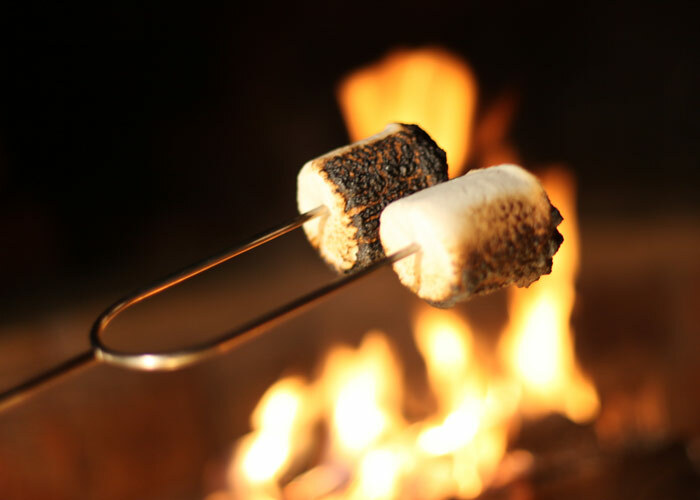 It saves lots of mess and lots of burned fingers to use the two graham crackers as “tongs” to pull the marshmallow off the skewer, unbent hanger, grill fork, or stick–whatever is handy to hold the marshmallows over the fire! And yes, I’ve made them over both gas and electric stove burners–they don’t get tough like microwaved marshmallows can! I’m supposed to be on a ‘diet’ now.. hahahaa!!!! How is that possible? These all look fantastic and I honestly haven’t had a s’mores since I was a kid! Here in France, we have DELISH choco- if you buy a bar of dark Lindt or something- it always has an added flavour like chili or ginger or nougat pieces– I should try it! Also, we have some ‘American’ candie bars here, too– NO Hersey’s bars- just Mars, Snickers, KitKat… to name a few..
Oh.. that’s making me hungry now..
P.S. Graham crackers don’t exist here… I’d have to use a different type of cookie—- hahaha! I can smell the fire burning in those pictures. What great photography. They look so yummy! Love all these ideasI can’t wait to make some again! I’ve SEEN those huge marshmallows in the store! i was shocked at their size! Oh, you’re making me WANT ONE SO BAAAD!! 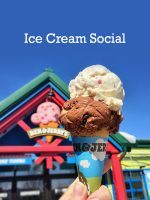 I work at a chocolate shop (worst job ever, right?) and we sell dark chocolate covered graham crackers. And gourmet marshmallows – giant peppermint, cookie dough, chocolate chip marshmallows. I also just moved into an apartment with a fireplace. 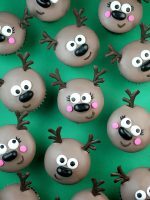 i have never made them………..but my dear friend from the states sent me the “kit” to make them…….but someone ate my chocolate and marshmallows before i could make them !!!!!! Okay… I don’t have a fire to make these with very often, so I make them on a cookie sheet under the broiler. 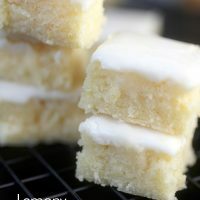 They are FANTASTIC, and you can make a whole bunch at one time. 1. Put as many graham cracker halves on your sheet as you’d like. Lots of them, right? 2. Put the chocolate on them. I really like the Ghirardelli squares – they have filling! I like milk and caramel the best. 3. Put these under the broiler for about 30 seconds. Just long enough to melt the chocolate a little bit. 4. 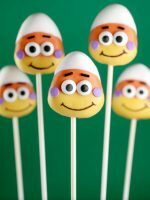 Pull them out and put a small handful of mini marshmallows on each one – they’ll stick really nicely because the chocolate will be melty..
5. Pop them back into the oven but WATCH them closely – it will only take about 30 seconds… take them out before the marshmallows burn. They will puff up a little bit and turn a perfect brown just before it’s time. 6. Serve them open-faced … they will squish all over the place if you try to put a top on. They are prettier this way, anyway! we just made some in the fireplace this weekend. We’re in France so no graham crackers available (what is WRONG with this place?). We used Specaloos instead and that turned out to be pretty darned good. I’ve just realized from looking at your photos that our marshmallows were undercooked! We didn’t get that lovely char that you have. I knew something was wrong! Ok so this is going to sound really bizarre, but you add popcorn and m&ms. There’s actually a recipe for a think called M and P, which is marshmallows, popcorn and m&ms all melted together in the microwave for about 20 seconds and it’s like you just put heaven in your mouth and it’s throwing a party for your tastebuds. This can thus be adapted into s’mores, Just use popcorn and m&ms to accompany your marshmallowy cracker goodness. Chocolate graham crackers and white chocolate. Like an inside out kind of s’more…Yum-e! I love reeses s’mores. I never thought about nutella, but OMMM! That would be good. Nope Never made them, but then I am not from the USA. I think I’ll have to try them one night where I can GET Marshmellows, as the ones you get here are not good. Woah. I’ve never done that before because we don’t even know that here. Now I do. And I’m so gonna try it. Oooh for some reason I’ve never been all that bold and I’ve stuck with Hershey’s for the chocolate…but caramel sounds wonderful! You should definitely try using Nila Wafers instead of graham crackers! They are sort of tiny, but that just means you get to eat more…right??? Well ma’am. As a former Girl Scout camp director, I can make a few pointers. First, the fire needs to be low. Low flames and ashy wood. Patience. An important ingredient. S’mores are the best, but another thing that you may want to try is to put a marshmallow on the fork and follow it with a caramel. When the marshmallow is toasted (not burned) pull the marshmallow off of the fork and the soft warm caramel should be nestled inside. Enjoy! Being from the UK, it took me a while to understand was a Smore was. A relative just came back from Canada with some Reese cups (even though we do have them over here) I may have to try it. I also have a jar of PBJ (after reading the bit about trying Nutella). Now to figure out was a Graham Cracker is. :) The pictures were a tasty treat. We love making s’mores when we’re camping, although often we’d omit the cracker and just eat the chocolate and marshmallows. Also, I’d usually place the graham cracker with the chocolate on it on the fire ring so the chocolate would start melting while the marshmallow was roasting. And definitely use the cracker to pull the marshmallow off the stick! Our teenage son would often snack on his own creation at home – break graham crackers into a giant cereal bowl, toss in some chocolate chips (whatever flavor you desire) and a handful of mini marshmallows. Stick in the microwave for a few seconds until the marshmallows melt, and eat it with a spooon. Yummy! I live in Denmark, so we don’t have graham crackers. I use Marie crackers instead. And then I’m a bit of a S’more freak. I like to spread the crackers with a little nutella, then put a slice of banana and finally mush the marshmallow in. It’s also good with peanut butter, banana and marshmallow. I can’t believe I never thought about making S’Mores with anything but a Hershey’s bar. I just happen to have ajar of Nutella in the cabinet –sounds like dessert tonight to me! 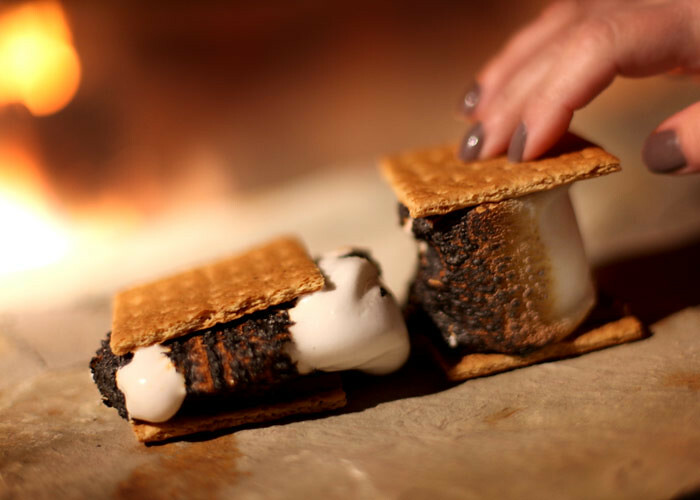 Here’s a S’More variation — a childhood treat: Place a marshmallow on top of a Saltine cracker, and broil until the marshmallow turns golden — yum — the salt, the sugar, the crunch, the gooey….